New technologies hit the field virtually every week and the latest boot styles constantly push the limits of our imaginations, yet the understated Copa Mundial football boot, which first appeared more than 20 years ago, continues to thrive. Why? It's the craftsmanship, simple style and superior materials which adidas puts into every single pair. In 1978, when Beckenbauer stepped on the field, he was wearing adidas Copa Mundials . . . so was every other legendary player of that time. 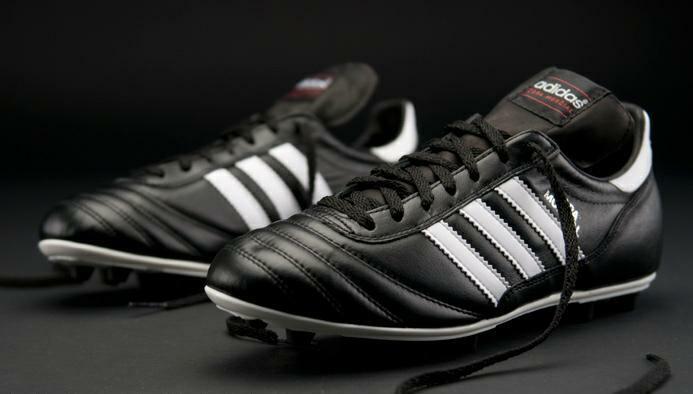 Since then, the adidas Copa Mundial has remained the world's most popular football boot! A trusted and timeless black and white classic, the Copa Mundial boot is made from the softest kangaroo leather available which provides for a comfort like no other. The adidas Copa Mundial's upper is fully lined with an extended leather tongue. Additional leather supports extending from the heel provide for increased durability and stability. The outsole is constructed of dual-density direct injected Polyurethane with molded studs. The adidas Copa Mundial football boot is perfectly designed for firm ground pitches. Nice blog. The content of your blog is exactly wonderful, and your blog template is Simple generous. how to buy this boot ?